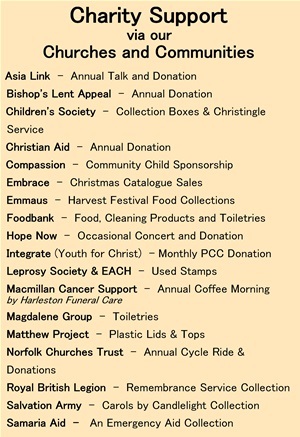 St John's, Harleston is open from 9am to 4pm Monday to Saturday for dropping items off. Every 1st Sunday of the month all our churches collect food for Foodbank which goes to Harleston's main drop off point at St John's church. So many people from the community and surrounding villages bring items to st John's which is then taken to the main Warehouse in Broome. If you would like some more information of which foods you can donate or if you would like to volunteer your time click here which will take you to their main Website. 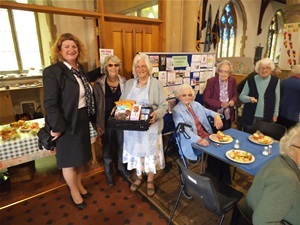 Harleston Funeral Service in Harleston.Helping the local church (St John’s) by donating a hamper for the raffle held on Saturday 21st May with the help from the Cooperative in Harleston. They also donate Fairtrade tea and coffee to help run the Tuesday Time Together. In June they donated a big box of Childrens Crafts for Needham's BumbleTea children's Church.